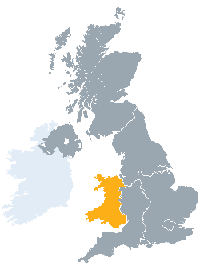 We offer tailored services to meet the needs of the education and research sector in Wales. To find out how we can help you please get in touch by emailing help@jisc.ac.uk or find your dedicated account manager. Your head of nation is Alyson Nicholson. Follow us on Twitter @jisc_wales. Rydym yn cynnig gwasanaethau pwrpasol i ddiwallu anghenion colegau, prifysgolion a darparwyr sgiliau yng Nghymru. I gael gwybod sut y gallwn eich helpu cysylltwch wrth e-bostio help@jisc.ac.uk neu ceisiwch eich rheolwr cyfrif penodedig. Eich pennaeth cenedl yw Alyson Nicholson. Dilynwch ni ar Twitter @jisc_wales. Edtech 2K19, what’s in store? What does the FE college of the future look like? Will edtech take-up in further education produce the digitally-savvy workforce the UK needs?